If one could achieve trapping molecules in the gas phase at ultra-cold temperatures below 1 mK, it would be possible to control the number of molecules coherently, which would lead to a new methodology to manipulate molecules through quantum mechanics, in addition to explore properties of very cold molecules. In this project, we are developing new techniques of making free cold molecules below 1 mK by combining techniques of Stark and Zeeman decelerators, mechanical cooling, velocity filters and optical cooling. 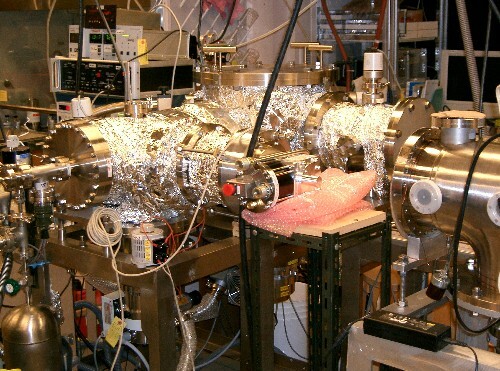 Once cooling is achieved, the cold molecular ensembles will be used to investigate new phenomena such as anomalous reaction cross sections at low temperatures, which offer a completely new field of research in physical chemistry.